Update: We’ve added locations for every Cultist in the game now, so you can sweep up everyone you have left to find. After yet more betrayal, a new and mysterious foe emerges for the Misthios. 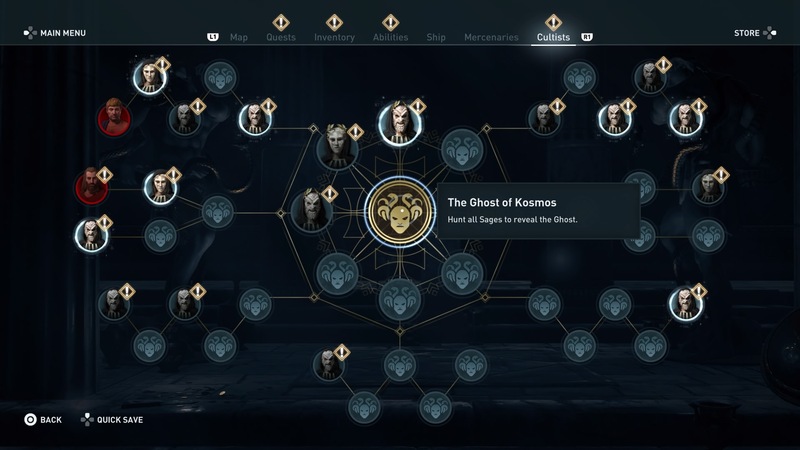 On the trail of the Cult of Kosmos, you get access to a whole new tab in your menu: Cultists. From here, you can track your targets as you gather the info needed to unmask their true identity. 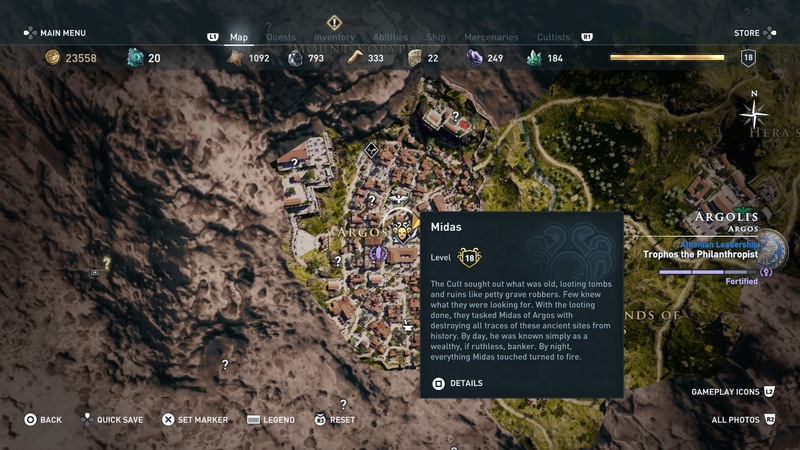 This isn’t always straightforward to do, so here are some tips on how and where to find more Cultists in Assassin’s Creed Odyssey. To unmask Cultists, you first need to find clues to their identity. To get hints on where you need to go, enter the Cultist menu and hover over an undiscovered enemy – this should give you a push in the right direction. If it says to “continue your odyssey”, then you’ll have to progress further in the game to find them. If it says “help people nearby”, then you’ll need to complete a side quest in the vicinity of the clue to unmask the Cultist. Otherwise, you can just head to the location listed. Once you’ve unmasked a Cultist, you’ll be able to track them on the map – which should make them quite easy to find. Some Cultists can be assassinated easily. Others are very strong warriors, so be careful and go in prepared. On their death, each Cultist will drop part of a Legendary armor set. 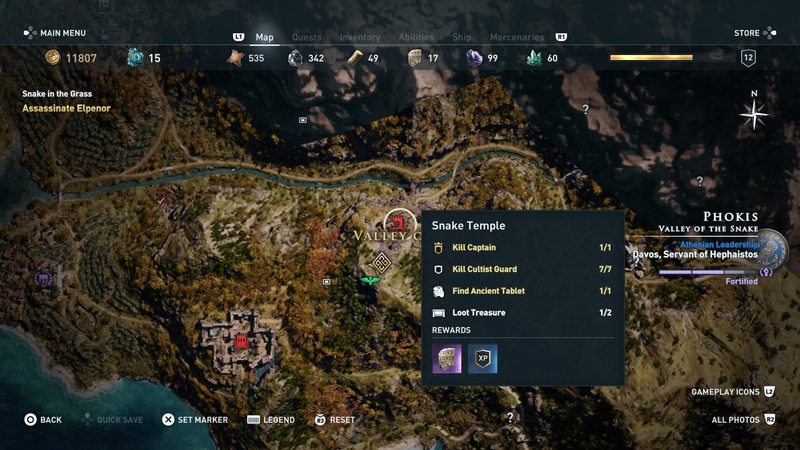 These are some of the best armor sets that you can get in all of Assassin’s Creed Odyssey. When you’ve taken out all five Cultists in a branch, you’ll be able to hunt their Sage. Once the Sage is done for, you’ll get the weapon that goes with the armor set. Just like the armor, these weapons are some of the best in the game. Don’t worry too much about the legendary armor pieces you collect lagging behind in level either, once you defeat a Sage, all of their armor set will scale to their level. The Silver Griffin – You can find The Silver Griffin’s clue in the Silver Mine location, which is in the centre of the Silver Mountain area in the south of Attika. You can then track him to the southwest of Mykonos. Machaon the Feared – The clue for this Cultist is found in the northeast of Achaia, make your way along the rocks of the Scavenger’s Coast and you’ll find the clue on a corpse next to the sea. “Cultist Clue nearby” will appear on the screen when you’re close. Iobates the Stoic – You find this guy’s clue by killing Podarkes the Cruel, mentioned above. 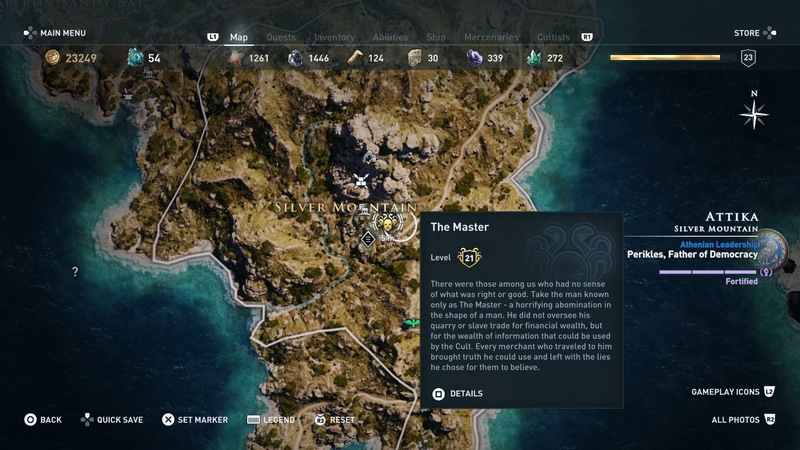 He’s found in the east of Lemnos in the northeast of the map. Rhexenor the Hand – This Cultist is killed during the Main Story quest “A-musing Tale”. Kodros the Bull – When you reach Lesbos, find and complete the Chip on Your Shoulder side quest to find and kill this Cultist. He’s also the nation leader of the island, so you can just weaken the island to lower his level and assassinate Kodros the Bull as you would any other leader. Swordfish – You fight and kill this Cultist during the Myths and Minotaurs sidequest you find in Messara. It’s part of the “A Place of Twists and Turns” First Civilization story quests. Chrysis – She’s fought and killed during the main story. 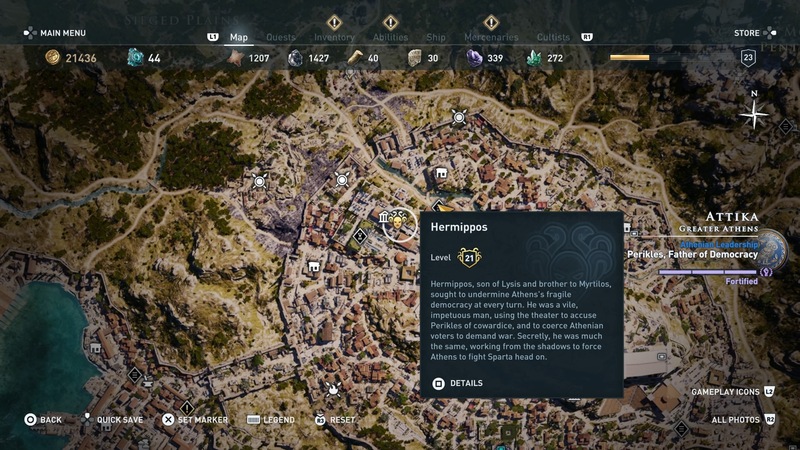 If you choose to save the baby and she escapes, head to Argos in Argolis and find the side quest “Death Comes for us all” just outside the east gate. Diona – For this Cultist, you need to complete the side quests from Diona on the Kythera Island. You can find “I, Diona”, in the centre of the island. 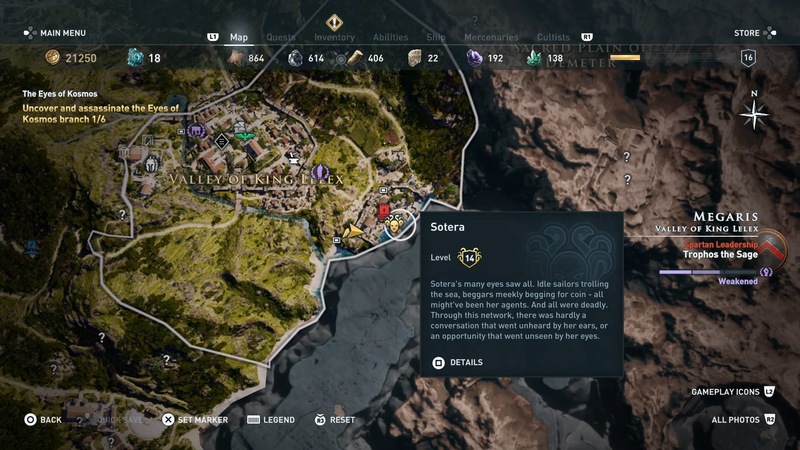 Sokos – To find Sokos, you need to start the Conquest Battle on Melos. During the battle, he’ll enter the fray. You don’t need to finish the battle to claim his legendary item and cross him off the list. Just destroy his ship and then you can sail off into the sunset. The Octopus – You can find this Cultist sailing with other hostile ships between Messara and Thera in the south of the map. The Mytilenian Shark – The clue for this Cultist is found in a lootable shipwreck called the Palace of Amphitrite. It’s northeast of the island of Thera that you visit during the Main Story and northwest of Anaphi – between the two islands. The location is about level with the bottom of Melos, so don’t go further north than that.